The popular tail lift warning light Hula Blitz - single lamp unit only. 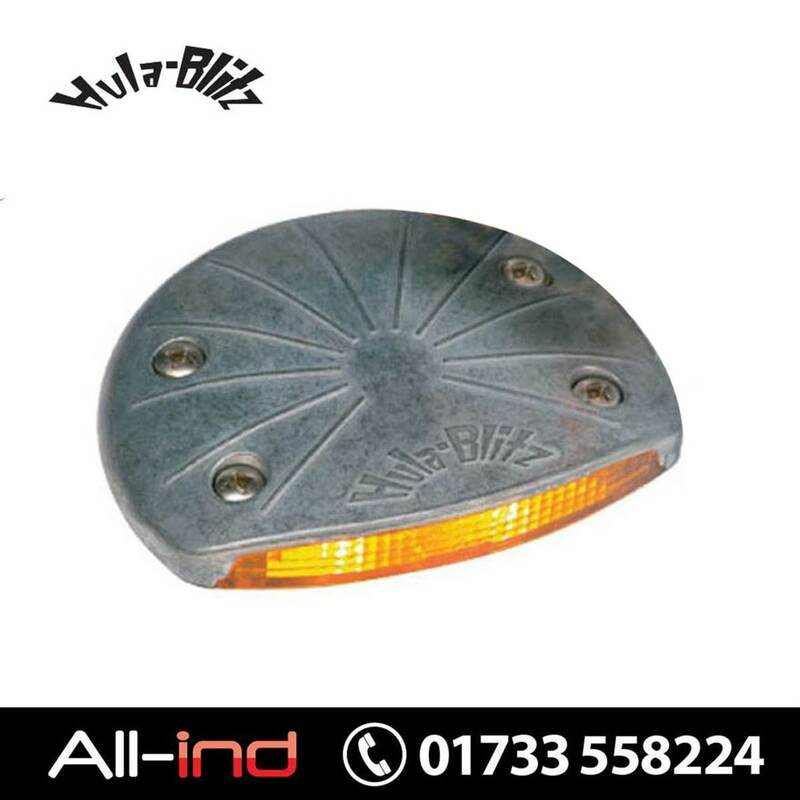 Powered by two 5W glass wall lamps to give a yellow warning light source. Operating voltage 24V DC although a 12V DC versions is also available. Zinc die-cast body 20.5mm high construction. Depth is 113mm, width 136mm and mounting hole centres of D41mm x W87mm.